PIVOTAL Packaging is a leading manufacturing group that specialises in flexible packaging and stationery products. 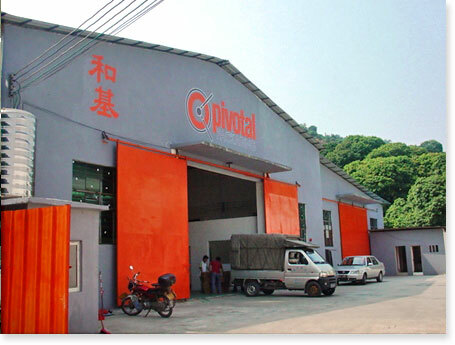 With separate production sites totaling 200,000 square metres, Pivotal Packaging has four dedicated factories strategically and logistically situated in the city of Guangzhou in China, each with its own area of specialisation. With staff of more than 300 full time employees and several decades of experience and know-how Pivotal Packaging is proud of its history and its dedication to its customers world-wide. From the first step we take our customers by the hand, be it in creating and designing a new product or generating a new look. We pride ourselves on producing products to specific and individual customer requirements with the greatest emphasis on quality. Our vision is to ensure customer satisfaction and to establish long term relationships with our customers through the production, distribution and timely delivery of goods of the highest quality.